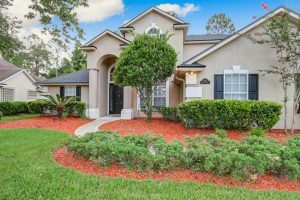 This weekend, we have open houses featured in Orange Park, Jacksonville, Middleburg, and Fleming Island. Please come by and tour these beautiful homes this weekend. We have wonderful agents available to assist you and answer any questions you may have. This Turnbury model home on the 14th green from Rosewood Homes has all the upgrades available in the beautiful, resort style Eagle Landing Golf Community. The open kitchen has plenty of space to entertain with a new stove-top, custom back-splash, 42 in cabinets, built-in oven and microwave overlooking a large family room with double sliders onto a screened lanai. The Owner’s suite is over-sized and has an amazing bath just begging to be relaxed in after a long day. Upgrades include, 12 ft ceilings, double tray ceilings in formal dining room, family room and owner’s suite and three car garage parking and large loft with bathroom. Charming all brick home in established neighborhood. 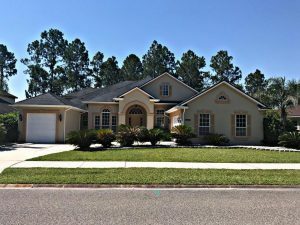 This 4 bedroom, 2 bathroom home; opens to living room with wood burning fireplace, separate formal dining room, kitchen with granite counters, and has a fenced in back yard to enjoy and entertain in. 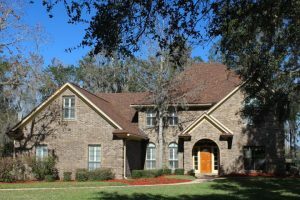 Former model home in Eagle Harbor! NEW roof, FRESH paint, NEW carpet, and ready for new owners! Master bedroom and one secondary bedroom and bath downstairs, with 3 large bedrooms and a bath upstairs. Formal living and dining rooms, and a beautiful family room with custom draperies and gorgeous ceiling detail. Gas fireplace and plenty of windows! Separate breakfast room, solid surface counters, and stainless appliances in the kitchen. This is a GREAT location convenient to schools, the neighborhood amenities, and NAS Jax! Larger lot with a long driveway and side-entry garage for plenty of parking. Loft area upstairs would make a great office or play room. Don’t miss this one!